I've got a backlog of places I want to blog about, but work has been mad for the last two weeks and I haven't had the time/energy to update the blog. I've been feverishly preparing for a big complicated trial and have of late been billing the kind of hours you hear about in lawyer horror stories! I like being in the litigation "zone", but it's been taking its toll - quite a few dinners have consisted of Nando's delivered to our desks (shudder), and last night when I came home in the wee small hours of the morning I was so tired I mistakenly squirted Aesop handwash from the dispensing bottle onto my toothbrush, instead of toothpaste. Waaaah. Well, tonight was the first weeknight in what feels like ages that I was able to get home at a reasonable hour and cook myself dinner, so I changed into a pair of tracky dacks, whipped up a quick bowl of Fusilli alla Puttanesca and watched Pane e tulipani. My Puttanesca (with a few pine nuts thrown in just for fun) was damn tasty if I do say so myself, and waaaay better than the one I had the other week at Nick's! 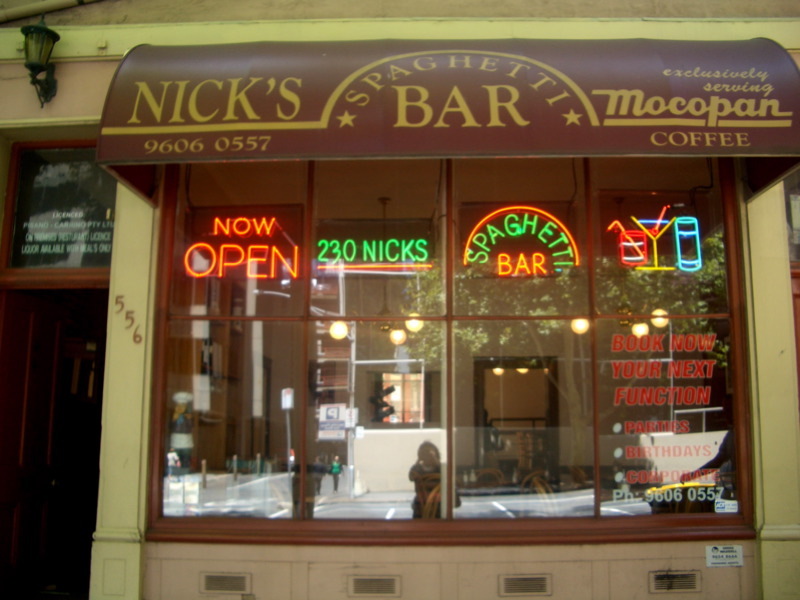 Nick's Spaghetti Bar on Lonsdale Street is (for some inexplicable reason) very popular with the solicitors and barristers swarming the Melbourne legal district. I went there with my colleague A to see what all the fuss was about... and I remain mystified. 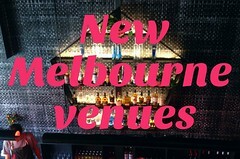 The interior of the restaurant was inoffensive enough (if you like Lygon Street trattorias), but the sleazy middle-aged waiters calling us "bella" and "darling" got on my nerves (okay, I freely admit I had a bad attitude to Nick's from the word go!). 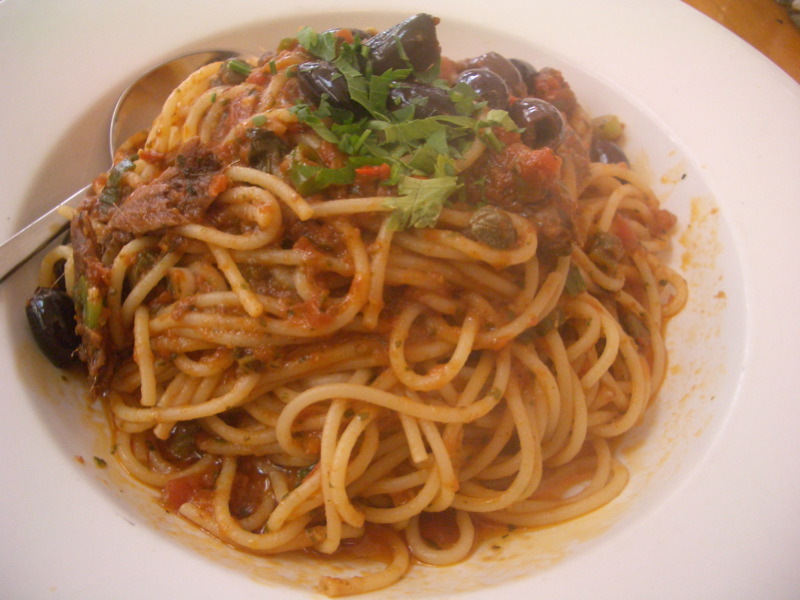 Behold the incredibly underwhelming Spaghetti alla Puttanesca I was served for $17. The plate had rubbery olives and capers and (very) roughly chopped anchovies up the wazoo, and yet the tomato-based sauce STILL tasted watery. I know my Nonna's cooking makes me an automatic Italian food snob, but why people pay $17 for pasta this average is something I CANNOT understand. 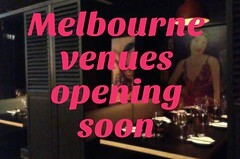 There's good Italian food in Melbourne (and yes, some of it is very reasonably priced), but this ain't it! Handwash instead of toothpaste? Mhmm tasty! :) Hopefully work slows down for you soon! it's high way robbery what some places charge for pasta, particularly when the ingredients are so cheap! I am somewhat of a nostalgia buff and Nick's had caught my eye, because it claimed to have been opened since the 40s (or something). I had wanted to check it out, but I probably won't now! That number doesn't work. Are they still open?